First, a bit of background. When the Human Genome Project was initiated in 1990, its budget was set at a staggering $3 billion and the resulting analysis took over four years. In 1998, a new initiative was launched at one-tenth of the cost – $300 million. Just over a decade later, a device costing just $50,000 was used, aptly, to sequence Intel co-founder (and Moore’s Law author) Gordon Moore’s DNA in a matter of hours. And today, costs have dropped to under a thousand dollars for a full sequence, and even less if only a subset of the data is analysed. A consequence of this falling cost threshold is an explosion in different research studies, not least in research involving mitochondrial DNA to trace our collective history through the maternal line (leading to hyped-up announcements about our origins such as this one). Healthcare research quite clearly stands to benefit a great deal. And, meanwhile, out in consumer land, different types of study (usually based on Autosomal testing) are used to demonstrate paternity, report on congenital health risks and establish family origins. It’s exciting stuff but, as with any topic which involves finding things out, it comes with risks attached. One might argue that knowing something is better than not knowing something, and this will frequently be true — not least in healthcare where a diagnosis can lead more quickly to treatment. Equally, however, knowledge can open doors that might better be left shut. And the question of privacy looms large: while you might want to know about your characteristics or health conditions, you might not want certain others, or indeed your employer or government, to know. An exacerbating factor concerns the accuracy of such tests. Just two years ago, the Google-funded DNA testing service 23andMe was investigated by the US Government Food and Drug Administration, which accused the company of basing its results on poor science. “After ... many interactions with 23andMe, we still do not have any assurance that the firm has analytically or clinically validated” its technology, stated the FDA. For a time the company stopped providing information on health risks but has now recommenced. Concerns have been also raised about inconsistencies between tests. “The discrepancies were striking,” wrote Kira Peikoffdec, who sent her saliva to three different labs for genetic testing (again in 2013). The American College of Obstetricians and Gynecologists reached the conclusion that such profiling was “not ready for prime time”. Similarly, ancestry tests have been pooh-poohed as offering little more than “genetic astrology”. Of course, things may be so much better by now. While costs have fallen still further, there is little indication of any breakthrough in terms of reliability and consistency of testing, however. But does it really matter, for example for an armchair ancestry hobbyist or for someone who has a specific concern that no official is prepared to address? The answer to this question lies in the fact that even if tests may still be inconsistent and unreliable today, this may not always be the case in the future. Any assessment therefore needs to take into account the privacy of the information concerned, or indeed in three kinds of information: the genetic sample (usually saliva); the raw test data; and the resulting analysis and interpretation. As it turns out, there is even less consistency in the terms and conditions of the different DNA testing service providers, than has been reported about the tests. A spectrum of terms and conditions exist across providers, from those offering highly restrictive policies that minimise any possible risk to the customer, to organisations that have less restrictions on what they can do with the data. “The laboratory will not analyse your saliva for any biological or chemical components, markers or agents other than your DNA. The laboratory will not have access to your name or your other personal information, the sample will only be known by an ID number and unique bar code." In other words (and unlike other providers including 23andMe, which states, “Unless you choose to store your sample… your saliva samples and DNA are destroyed after the laboratory completes its work, unless the laboratory’s legal and regulatory requirements require it to maintain physical samples.”), the customer has to specifically ask for source materials to be destroyed. In addition, phrases such as “appropriate agreements”, “various tasks” and “other processing” mean that the organisation could pretty much do what they like with any results (again unlike 23andMe, which requires “explicit consent”). Why does any of this matter, if after all you were just looking at your heritage? As already noted, genetic profiling is a work in progress — as it gets better, it will be possible to find more out. Which brings us back to the point about need to know. As mentions BritainsDNA’s own policies, “Once you get any part of your genetic information, it cannot be taken back.” If you find something out which could jeopardise your health insurance for example, and then you do not declare it, then you could be accused of fraud. BritainsDNA goes on to specify a “hold harmless” clause, exonerating itself in the case of such discoveries. Jurisdictions are all too important here: it would appear highly inadvisable to allow your most personal of information — your DNA profile — to leave your national boundary, and thus be subject to different and possibly contradictory laws, many of which (such as the US genetic discrimination act) are still works in progress. So what, say the optimists. So, say the DNA test providers themselves, the example where you discover the person you have known for 30 years as your father turns out not to be, responds the privacy agreement. It’s not hard to imagine the potential for anguish, not indeed the possibility of being cut out of a will or causing a marital break-up. - First, think about the consequences of each possible outcome. Perhaps, like Julie M. Green, you would rather know that you had a risk of a degenerative condition. Or perhaps not, like Alasdair Palmer, to be sure in advance. - Recognise that the results may be inaccurate. 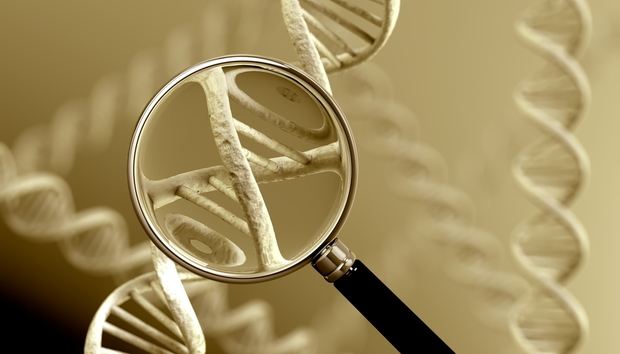 Despite the advances, these remain early days for genetic testing. Have particular concern for the ‘nocebo effect’ — the propensity to start displaying symptoms of a disease you think you might have. - Ensure you minimise the scope of the research to what you are comfortable with. If all you are after is a bit of ancestry fun, do that — but make sure that is all you are getting. - Decide what to do with your raw data. Your choices are to request it, download it and store it safely, or request for it to be destroyed. If in doubt, take it out — you could always have the test done again, and probably more cheaply. - Control what others can do with your data. After reading up, you might decide you are happy to have yourself used as a live sample for any and all further genetic research, whatever the outcome. Or you may prefer to know who is using your data, anonymously or otherwise, and to what end. - Choose an organisation which complies to your own national laws. If your DNA crosses a national boundary, then you have pretty much said goodbye to any controls that could be placed on it, particularly as many laws are only applicable to their own citizens. - Consider looking for a completely anonymous service. (Cygene claims to do so, in the US), albeit recognising that absolute anonymity is very hard to achieve. These are exciting times for science in general, and for genetics in particular. In five to ten years’ time we will know much more, and we will also have international legal frameworks that may have caught up with how we deal with such knowledge. In the meantime perhaps consumers can dabble with genetic testing as a bit of fun, but let’s remember it was our own curiosity that killed Schrödinger's cat.